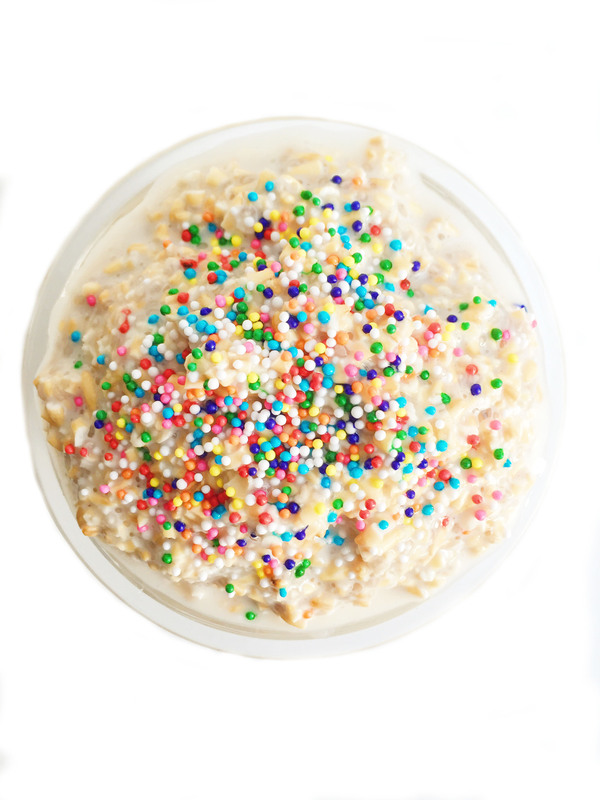 Heck YES we are eating sprinkles with breakfast in these Gluten Free Funetti Overnight Oats. No regrets, no judgements, no second guesses about adding sprinkles to your breakfast. We all know mornings can be rough when you are rushing out the door to work or when you have to wear 3 jackets just to go grocery shopping because it’s THAT cold outside (only my Northeast babes can relate to this). Therefore we deserve a little brightness at the start of our day. My Funfetti Overnight Oats are not made with actual funfetti cake mix BUT they are seriously delish. We all know that while I have a sweet tooth, I am all about the healthy and wholesome ingredients to fuel our bodies. And while funfetti cake mix may be delicious, it’s not happening on this blog anytime soon. Instead we are combining some of of my favorite ingredients to create these gluten free Funfetti Overnight Oats. Udi’s Steel Cut Oats (the best gluten free oatmeal option out there! ), Vanilla Almond Milk, Chia Seeds, Vega Vanilla Protein Powder, SPRINKLES! and of course some of the necessary flavorings from almond extract, vanilla extract and cinnamon. 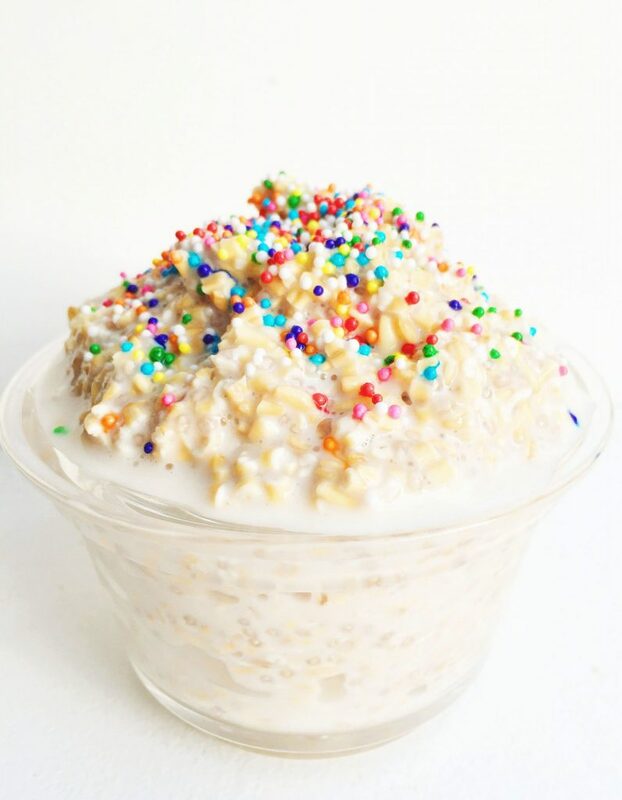 So go ahead, make these gluten free Funfetti Overnight Oats and try not to smile because it’s not possible when you’re eating sprinkles for breakfast. YES. This is like just eating cake batter. Which tbh I like better than the actual cake. YUM! Now I’m craving cake batter, even though my birthday was around nineteen days ago LOL!